Okay okay. I know this is the third matcha recipe in just a couple of weeks but I just can’t help myself. There is just something about matcha that calls to me and makes me feel good. Life is too short to not enjoy what you are eating and drinking…are you with me? I hope you enjoyed the Iced Matcha Latte and Chocolate Matcha Latte shared recently. 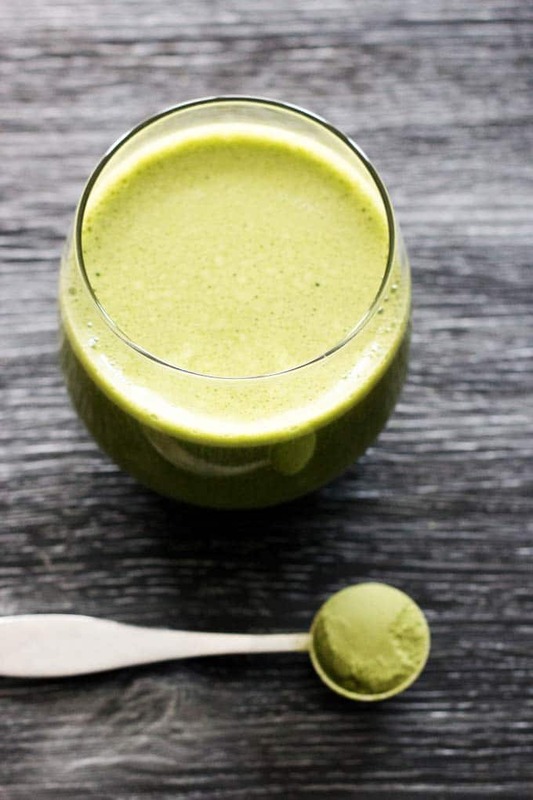 If you did, then you must give this simple matcha green smoothie a try. Easy recipe should be my middle name because it doesn’t get much easier than this 4 ingredient smoothie and I think everyone knows that easy is all I can handle – hence, the daily use of my blender. 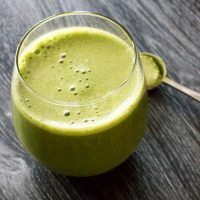 This vegan smoothie recipe gives you a nice serving of greens and is a good starting smoothie and you only need matcha powder, spinach, almond milk (or milk of your choice) and half a frozen banana. Matcha is helping me fall in love with “green” again. I went through a bit of a green smoothie slump but now I’m finally feeling re-energized. If you’ve experience a slump or loss of excitement about yet another smoothie then the secret is to find a new ingredient that can help spice it up. Curious about this thing called Matcha? Check out 7 things you should know and 10 amazing benefits of matcha green tea to learn more. I promise to be back soon with a non-matcha recipe! I can’t promise, however, to never share another one with you. I would never ever lie to you all. Enjoy your week and hope this smoothie helps you get over the mid-week hump but if not, don’t be afraid to try a tasty margarita, mojito or alcoholic beverage. We all deserve a little mid-week celebration. Add all ingredients to the blender and secure lid. Blend on medium variable speed or try using your smoothie function if you have one on your blender. 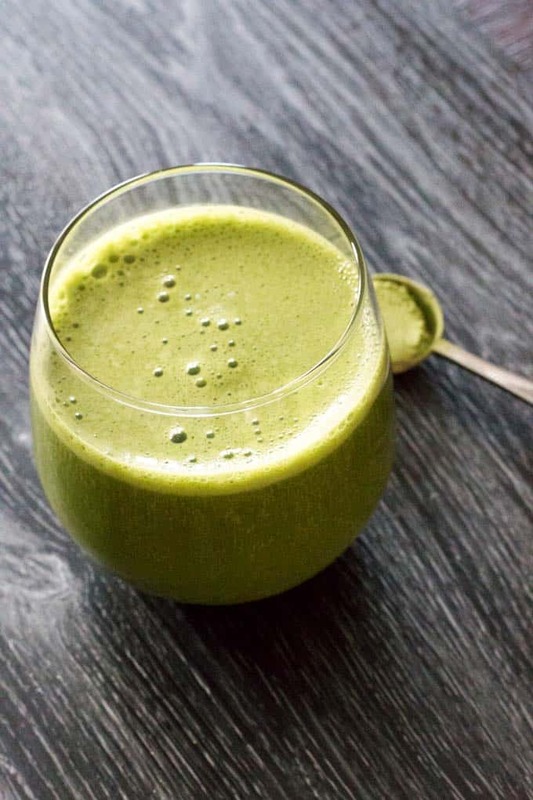 Blend until spinach is fully broken down and the smoothie reaches your desired consistency.